Watch Bill Reid’s interview with Milwaukee Public TV’s The Arts Page, hosted by Sandy Maxx. 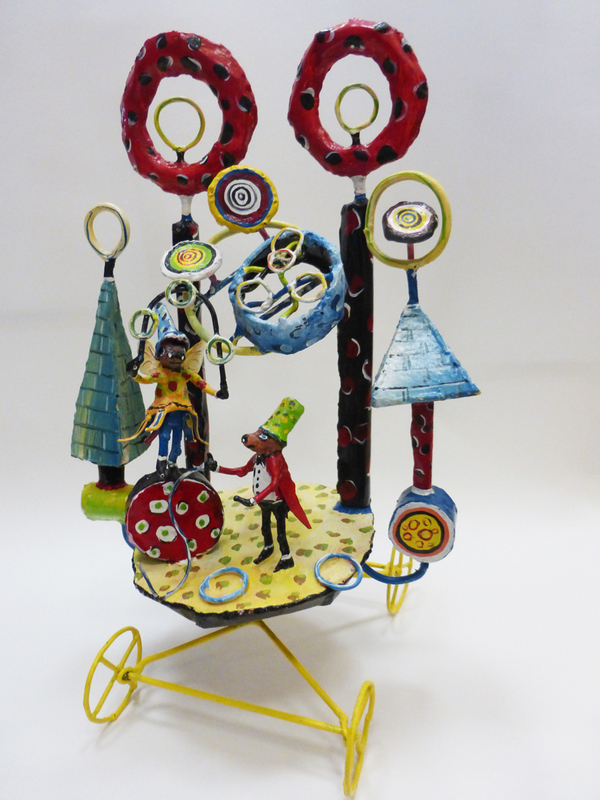 Wisconsin artist, Bill Reid creates brightly painted metal sculpture without equal. 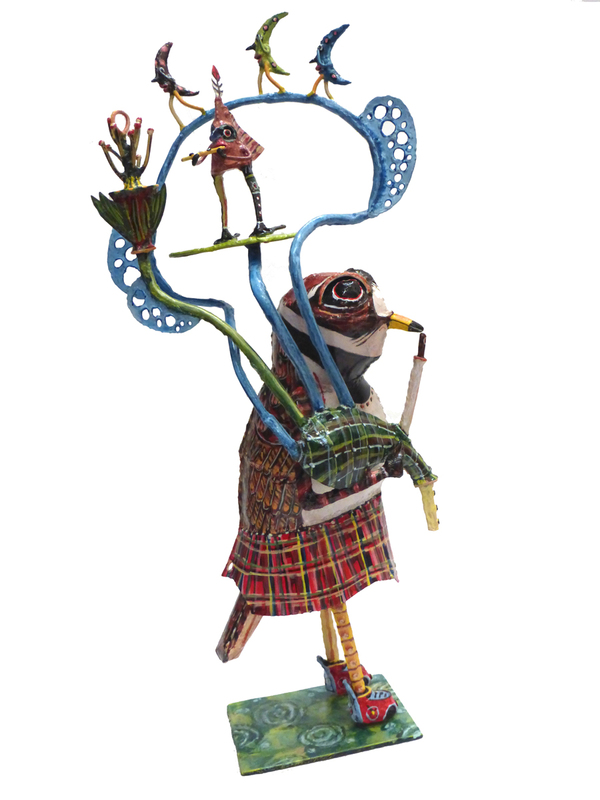 Imaginary animals built from word play, such as the Distanteater and the Artelope tell the stories of the artist’s own folklore. Often mechanical and toy-like, his creations are made entirely of welded pieces of thin sheet metal and metal rods. The artist’s work ranges in size from super small to motor vehicle size. The artist received his MFA from the Cranbrook Academy of Art in Michigan and is currently the Artist in Residence at the Prairie School in Racine, Wisconsin. 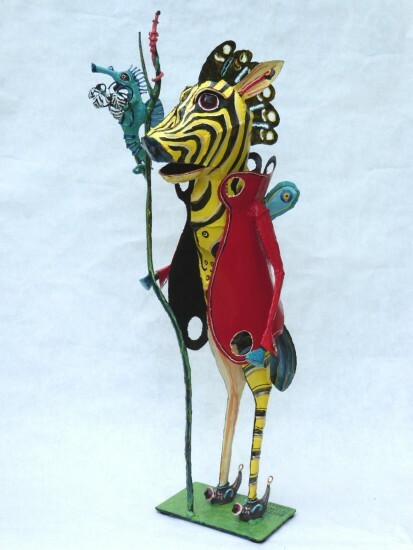 His work has gained him numerous awards and has allowed him over a dozen museum exhibitions across the country. Read more about the artist in our Press Pages.